A Hard Burnished Wax Finish. To protect and preserve the work, I usually apply a wax finish to the piece. I’m not a fan of varnish or lacquer style finishes as I feel they can give the finished piece a “plastic” sort of look when they’re completed. 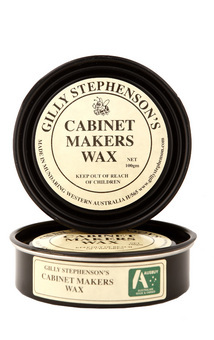 The wax I use and recommend is Gilly Stephenson’s cabinetmakers wax. It is a combination of beeswax and carnauba wax in a gum turpentine base. From my own experience I’ve found that beeswax, on its own, never thoroughly dries and can become sticky and attract dust, and carnauba wax, on its own is tough to work with. The cabinet makers wax from Gilly Stephenson ticks all the boxes for me as it is easy to use, polishes up beautifully, and is very realistically priced. The method I use to apply it is detailed below. Use a soft cotton cloth and apply a thin coat of the wax to the surface. Rub it evenly over the surface making sure there are no lumps of wax. Remember to only use a thin layer. You can apply more coats as you go Once the wax has been spread over the surface leave it aside for about ten minutes. Now, the next stage is the enjoyable part. Grab your Rotex and double check that it’s on speed 1 as well as in Rotex mode. Place the sander on the workpiece, turn it on, and slowly and steadily work over the entire surface of your project. The small amount of heat that your creating is sufficient to open the pore of the timber and let the wax in, while the 1500 grit abrasive smooths and distributes the wax evenly over the surface. Don’t overwork the surface: just a few minutes should do it. When you’ve finished this stage you need to grab a paper napkin; yes, you read it right, a paper napkin. When I was teaching for Festool, and I knew I had a sanding workshop coming up the first thing I’d do would be to head down to the local McDonald’s and grab a handful of their paper napkins. So, now you’ve got your napkin, place it on the workpiece, then put your Rotex, (with the 1500 grit abrasive still on it), on top of it. Double check that you’re in Rotex mode and on speed 1. You should begin to see the shine develop very quickly. The paper towel equates to about a 6000grit, (approx) abrasive and cuts back the surface beautifully. You can repeat the process and add as many layers of wax as you like. The more layers you have, the more vibrant and lustrous the finish but I recommend that you leave at least 24 hours between applications. Try this finishing method on some offcuts of a few different species of timber. By doing this, you’ll create a “library” of finished samples which can really add the ‘wow’ factor to any presentations you give to potential commission clients if the future. What it also does is give you more practice with the sander so you can become more familiar with, and refine your technique on the sander. I hope this article helps you in working with your Rotex and achieving better finishes that you’d previously thought possible. As always, please post a comment or send me an email if you’ve got any questions. 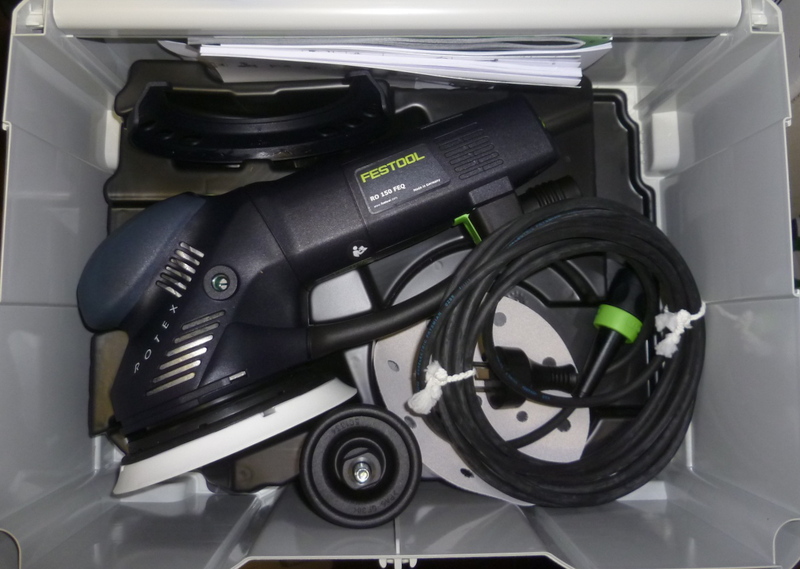 Hi Bryan, this is a very useful blog to me as I am also starting out – but that could be re-starting as haver decided to adopt the Festool system as my system for woodworking. So am following your advice and observations with interest. Please feel free to contact me should you have any questions or need clarification on anything I’ve written. Great post. I love using wax myself. It is amazing what it does for a finish. You should do an ebook! I’ve been wondering why Festool products cost so much and now I’m beginning to understand why. They will do things other products will not do! I really study before purchasing anything so your info will help me with future decisions on purchases. I want to study up on the Festool system of woodworking as well.